Welcome to the eleventh Writing Prompts by Digital ArtLords! We started this series in an effort to spur your creative juices. Every 2 weeks we add a new image to the series and ask for your take on the scene. This week we’ve stumbled into The Mountain Awakens by the ever diligent Romain d’Escrienne. Run! The mountain has awakened! And inside of it there was a Dragon! But… Why was a dragon in the mountain in the first place? Was it his eternal deathly prison? Or is this particular dragon a guardian for someone far greater than the mountain? Or how about this: The dragon itself was the mountain! 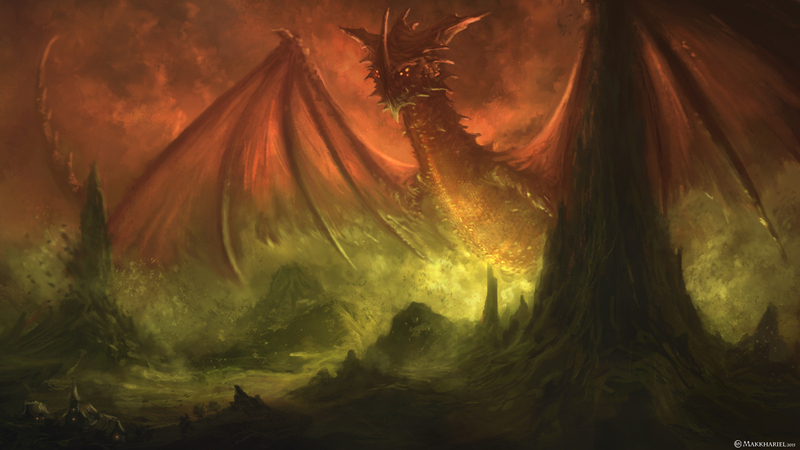 Sharpen your claws and whip your dragon tales as you write a story inspired by this image!